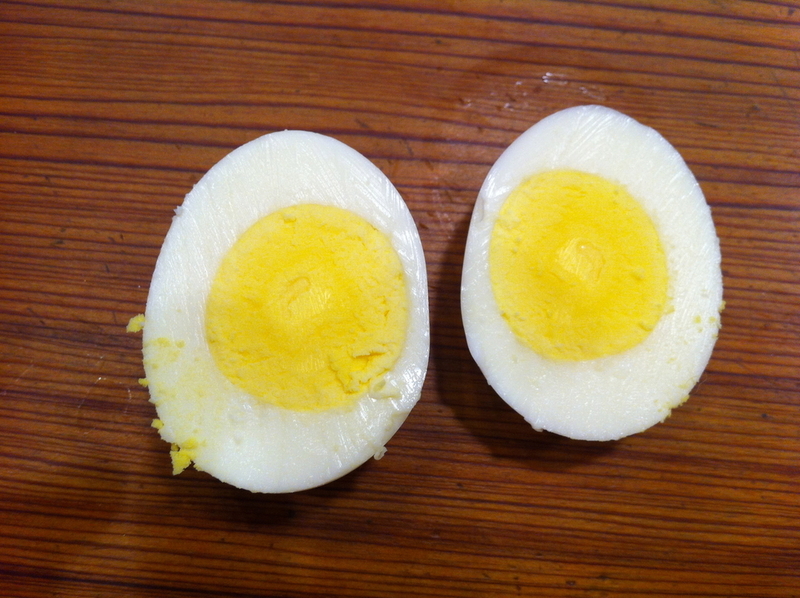 Do your hard boiled eggs come out with a dark green ring around the yolk or maybe the center is too soft? 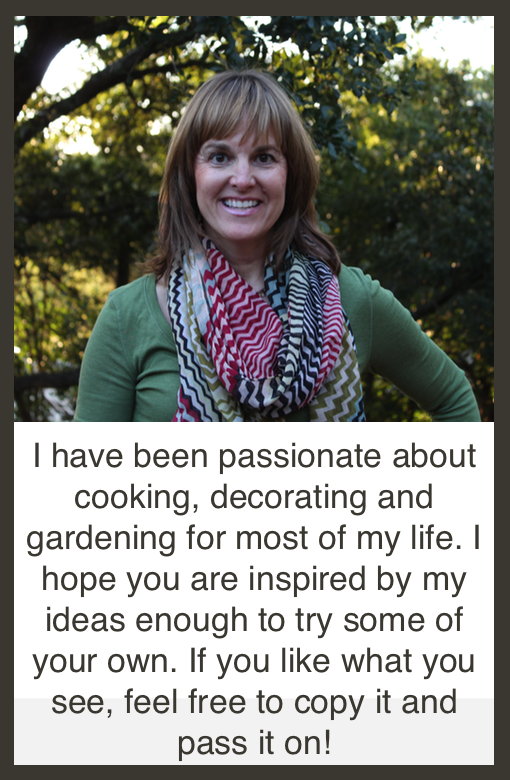 I'm going to tell you how to make the perfect hard boiled egg every time, and it's so easy. 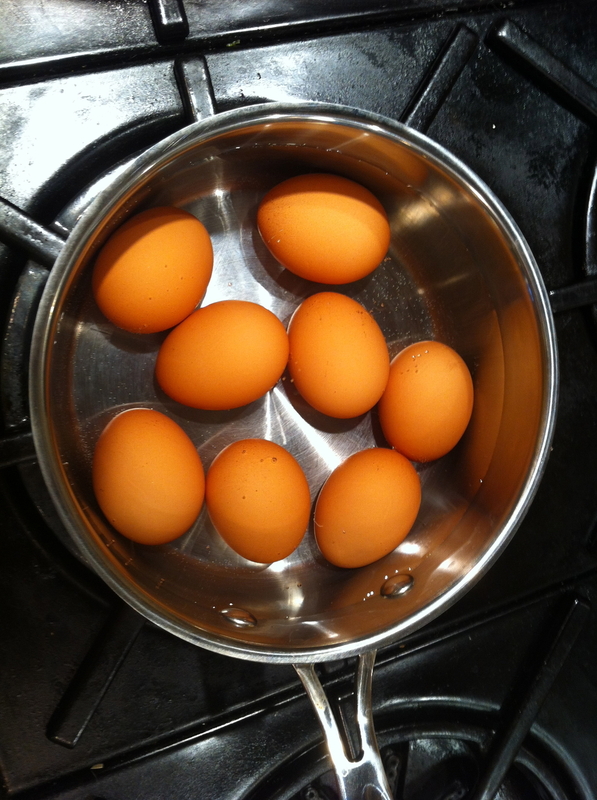 First put the cold eggs in a pan and cover with cold water to about an inch above the eggs. Now put them on high heat on the stove. As soon as the water reaches a rolling boil, set your timer for 10 minutes. When the timer goes off, carefully drain the boiling water then put the eggs in a bowl of ice water. This will stop the cooking and you will have the perfect hard boiled egg! *Note: I live in Texas and 10 minutes is perfect, but my daughter lives in Colorado and because of the higher altitude it takes her 12 minutes. Posted in In The Kitchen and tagged with hard boiled eggs.